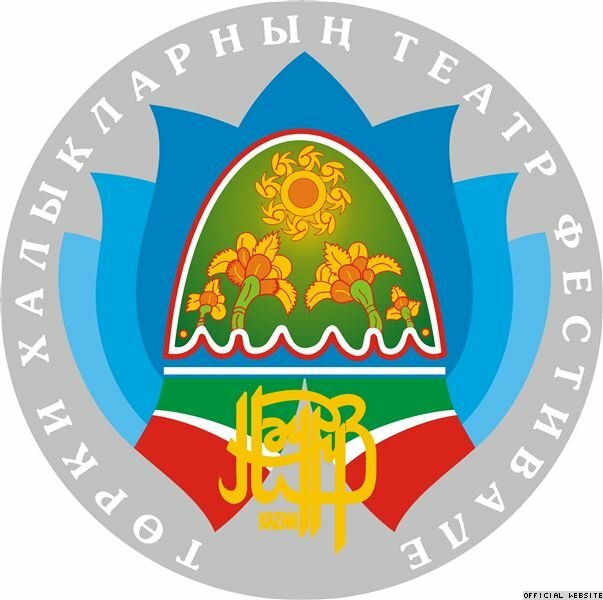 The opening of 10th International theatre festival of Turkic people "Nauruz" will take place on 30 May on the square in front of G. Kamal Tatar State Academic Theatre. This was announced by the director of the opening ceremony, merited artist of RT Radik Bariev. "This year we decided to hold a large scale performance and we thought that it should be done on the square. Of course, the organization of the ceremony in a building would be more convenient for us, but then only the guests of "Nauruz" could participate. And, after all, we are holding the festival for the people of our republic," - said Radik Bariev. Many of archeological discoveries on Tuvan territory "literally overturned history"
Tuva has an extremely rich historical heritage, which attracts tourists from the whole world, but some of archeological discoveries on Tuvan territory "literally overturned history". This is what the chairman of the government of Republic Tyva Sholban Kara-ool explained at a press-conference at ITAR-TASS, answering questions from journalists. He presented data from research, according to which "three thousand years ago, on the territory of today's Tuva, there was a very high, and very technologically developed Scythian civilization. In 2001, 40 km from our capital Kyzyl, in Arzhaan, which became famous throughout the world as the Valley of Tsars, a joint Russian-German expedition discovered a burial of Scythian nobles, with artifacts dating to 8th-7th centuries before our era. 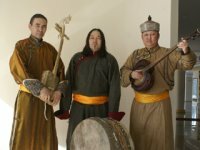 During the 10th International Festival of Turkic People "Nauruz", Kazan will listen to throat-singing. Artists from the state V. Kok-ool music and drama theatre will be participating in the festival. 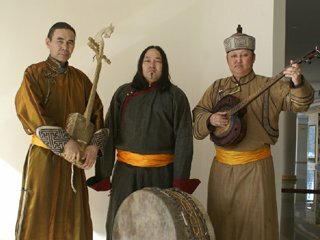 Tuva will be also represented in Tatarstan by folklore trio "ShaaLaash" (Oktyabr Saaya, Stanislav Iril, Saidash Mongush). They owe their unusual name to a healing spring in Tuva. The throat-singer ensemble will be in Kazan from 29 May and will perform in the opening and closing ceremonies of "Nauruz". 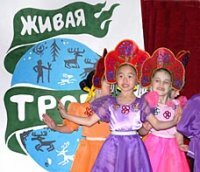 Kyzyl will hold an interregional festival "Musical Summer in Tuva"
On 2 - 6 June, Kyzyl will host the next interregional festival "Musical Summer in Tuva". Composers and performers from Moscow, Tatarstan, Buryatia, Kalmykia, Khakassia as well as from Belorussia and Siberian cities will participate. 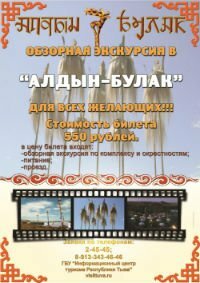 The Chairman of the Union of Composers of Russia, Vladislav Igorevich Kazenin, a man who brought significant contribution to the development of musical art in Tuva will be the honored guest. It was precisely Kazenin who stood at the sources of founding the Union of Composers of Tuva. 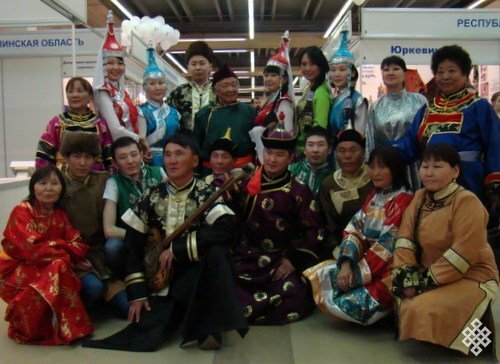 Collective of State Unitary Enterprise (GUP) "Mogen-Buren" of Mongun-Taiga kozhuun won the Grand Prix of a song and dance festival "Nomads of the North-2011", which took place during and expo-fair "Treasures of the North 2011" on 27 April - 1 May at Pan-Russia expo center in Moscow. And that is not the only prize that the Tuvan delegation won at this forum of the best creative work of the minority indigenous peoples of the North, Siberia and the Far East. Tuva was represented by residents of two districts: Mongun-Taiga ( GUP "Mogen-Buren", leader Oshku-Saar Oorzhak) and Todzha (association "Tos-Chadyr", leader Svetlana Demkina). Tuvan singer Sainkho, who has been long living abroad and who has won international fame was awarded the Honorable title of "National Artist of republic Tyva". The well-deserved award was presented to the legendary singer at a charity concert by the head of Tuva Sholban Kara-ool. The audience welcomed this decision with ovations. Today at a round-table conference at the National museum a whole campaign for promotion of female throat singing started off. We will be speaking about traditions of its performance in the republic and the current existence of female khoomei. The initiative of the debates, the concert in Kyzyl, and the tour of the districts of the republic belongs to the legendary Tuvan-Austrian singer Sainkho Namchylak and to the only khoomei performing all-female group in the world, "Tyva Kyzy" (Daughters of Tuva). A joint concert of Sainkho Namchylak and "Tyva Kyzy" (Daughters of Tuva) will take place in Kyzyl, at the House of National art, on 30 April. The concert is dedicated to raising a statue of the Buddha on Mt. Dogee, planned by Buddhists of the republic. As Choduraa Tumat, leader and founder of "Tyva Kyzy", the only female folk music group that performs throat singing, said, Sainkho Namchylak is coming to her native country form her musical travels especially to participate in this joint concert. The proceeds of the concert are to go into the fund for the construction of this majestic statue. 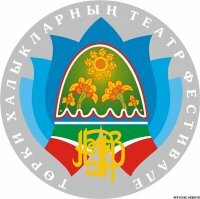 Tuvan regional section of the "United Russia " party will offer any co-operation to the organizers of the fifth republican festival "Living Path of Dersu", which will take place in Tuvan capital Kyzyl on 18 - 23 April. 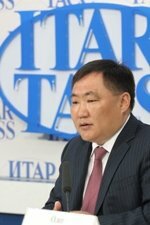 This was announced by the leader of Tuvan regional department of the "United Russia" party Eres Sonam. On 22 April there should be a meeting of the festival participants, children's and youth cinematic art and the functionaries of "United Russia" party. Tuvan Opan Sat, Zayana Apkhanova and Albert Kuvezin are pretenders for the title "Siberian-2010"
Among the 32 pretenders to the title "Sibiryaki-2010", Tuva is represented by the leader of the famous group Yat-Kha Albert Kuvezin, the winner of a beauty contest "Miss Asia-2010" Zayana Apkhanova, and double champion of Europe in free-style wrestling Opan Sat. yesterday, on 6 April the organizing committee of the contest announced the start of the internet voting, which will end on the night from 14th to 15th April. Only 7 people, who will collect the most votes, will become the holders of the honorary title "Sibiryaki-2010". In the eight years of the existence of this contest, Tuvans were twice among the winners. In 2003 Sergei Shoigu won the honorary title, and in 2005 - Albert Kuvezin.